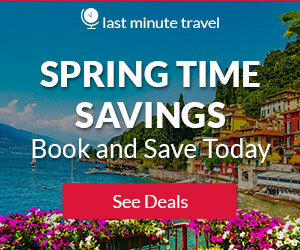 Beach Travel Destinations > Beaches in the United States > Most Relaxing Beach Vacations – U.S. Most Relaxing Beach Vacations – U.S. 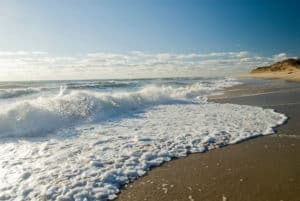 This northern beach is not one to check out if you’re craving a wintertime escape, but Pocomo Beach in Nantucket is a great spot for a summer beach get-away. Located on the Eastern Shore of Nantucket, this beach has warm waters that are great for swimming and kayaking. There’s a wide variety of hotels in the area and a campground on Martha’s Vineyard. Start planning your vacation to Nantucket today, visit our Nantucket Travel Guide. This beach is best known for its tall, sandy dunes, which offer scenic views as well as privacy. The water’s frothy surf is excellent for swimming, while The Cape Hatteras and Bodie lighthouses provide spectacular views of the surrounding area. The seashore stretches for 72 miles along the Atlantic coast on the Outer Banks, giving you plenty of room to sprawl out and unwind. Vacationing to the Outer Banks? Visit our Outer Banks Travel Guide. Nauset is just one of many beaches on the 40-mile stretch of coast encompassing the Cape Cod Seashore. It’s quiet and open year round, although you’ll likely want to limit your sunbathing and swimming to the summer months. Nauset is famous for its beautiful sunsets. Planning a trip to the Cape Cod National Seashore? Visit our Cape Cod National Seashore Travel Guide. If you’re looking for a small beach surrounded by clean sand and clear water, you can’t do better than Las Olas Beach in Fort Lauderdale. Alcohol and loud music are forbidden, making it a great spot for sunbathing without worrying about nearby noise. The beach is open 24 hours a day and offers amenities like beach chairs and restrooms. Start planning your vacation today, visit our Fort Lauderdale Beach Vacation Guide. While the population of Miami is steadily increasing, you can still find some quiet little hideaways. South Pointe Park Pier is located at the tip of Miami Beach and is part of a seventeen-acre park. It’s surrounded by the Atlantic Ocean and Government Cut Channel, making it a quieter spot with excellent views. You will see the occasional cruise ship passing through the Channel, as well as anglers fishing from the pier. South Pointe Park Pier, is a favorite for Miami locals who want to avoid the tourists and louder attractions. Start planning your vacation today, visit our Miami Beach Travel Guide. Naples has no shortage of calm beaches and other things to do, but the Clam Pass Beach Park is one of the best for visitors seeking an escape from the city noise. This beach is just six miles from the downtown area and features peaceful mangrove forests and an extensive boardwalk. Start planning your vacation today, visit our Naples Travel Guide. You’ll have to hike a bit (or climb stairs) to reach this beautiful beach in Malibu, but it’s well worth the trek. The water is a beautiful deep blue, contrasting nicely with the bright orange sunsets. You’ll discover lots of little caves and rocks to climb under. The Blue Sky Center in the nearby desert offers a number of upscale camping areas. Do Malibu California! 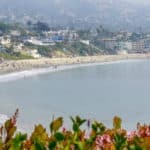 Start planning your vacation today and visit our Malibu Travel Guide. Another Hawaiian beach making the cut as one of the most relaxing is Makena Beach. Maui has an impressive thirty miles of beachfront, but this one, in particular, is known for its soft white sand and tranquil, resort-front vibe. Vacationing to Maui? Visit our Maui Travel Guide! Monterey County has nearly a hundred miles of coastline, but Lovers Point Beach is probably one of the most relaxing. This park was established in the late 1800s and is one of the best spots for watching the sunrise. 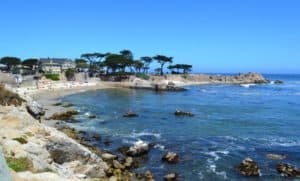 Start planning your vacation today, visit our Pacific Grove CA travel guide. The beaches in the U.S. are as plentiful as fish in the ocean. Many of them are a great family get-away with amusement parks and miniature golf courses nearby. If your head is swimming with thoughts of a quiet vacation, consider these top ten beaches for relaxation. What a great list of beautiful and relaxing beaches! There are so many beautiful beaches, it’s really hard to choose now:) Since I prefer to stay in one place, I like to relax on vacation. I don’t enjoy going from one place to another. Which of these beaches would be best for a one week stay? I am glad you enjoyed my Most Relaxing Beach Vacations post 🙂 Boy, all of these are on this list for a reason, and ANY of them will be great for a one week stay. It is really a matter of preference. Some people want to go to California or Florida, so they would pick here. Personally, I love Hawaii. Out of all the beaches listed, I would head to Kauai. Simply because I love the atmosphere, the beaches, and it is really not super expensive. Great and informative article. I’m planing to visit Florida next year and it was great to find few recommended beaches in Florida I will definitely try to visit them next year. I was in California last year, but I didn’t knew about El Matador state beach. This beach looks truly amazing, sadly I found this article too late. Thank you so much for sharing! You are very welcome! Being a Floridian, I can tell you that the beaches here in Florida are so awesome, diverse, and there is just so many to chose from for sure. I am glad my Most Relaxing Beach Vacations review will make it easier for you decide where you want to visit in Florida! I love beaches and I have been looking for a great beach vacation for this upcoming summer. What a wonderful post! Now I have a great list to choose from. 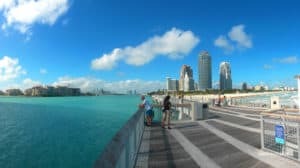 I really like the idea of going to South Pointe Park Pier in Miami. I have always wanted to visit Miami and being surrounded by the Atlantic Ocean and Government Cut Channel at a 13 acre park sounds wonderful. Thank you for helping me decide! You are welcome Seun. I live in Florida, and you will love the South Pointe Pier. So much to do there for sure! Let me know if you need any additional information. Also read my Miami Beach Travel Guide which will give you hotel, restaurant, nightlife, and information on attractions. Great post on the best relaxing beach vacations! I did not know that there were so many nice beaches in New England! I do not travel to that area much, but it looks like I may have to visit some of the beaches like Pocomo and Nauset. I am not a big fan of California, but those beaches look great as well. i have always vacationed at Ocean City, NJ, but those beaches are mediocre at best! Really every beach on this list is top notch. You can’t go wrong going to any of them. 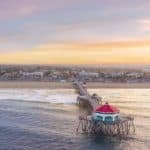 This is a great review on the best relaxing beaches in the U.S. I do love beaches, and I do love to relax, I mean who doesn’t? Am sure I am going to have my holidays at Las Olas beach, Florida. I like that the water is clean, but also that no alcohol is allowed. Perfect quiet beach for me! Thanks for this review. Good and useful information. You picked the perfect beach! I live in Florida, so I know that we do have a lot of great beaches. But some just stand out like Las Olas. I know that we have no alcohol allowed here on Clearwater Beach where I am, but that does not stop people from doing it. Being the #1 beach in the U.S. makes it way too crowded for me. Las Olas is so wonderful! Thanks for visiting! Oh Vicki you are going to have a marvelous time! Make sure you come back and read my Kauai Travel Guide. I also have extensive travel guide information for Florida. Just visit hereto start reading about the best places for beaches in Florida. Please let me know if you have any questions. Thanks! Hello there, it’s great to meet another beachlover. I grew up in the Caribbean so I’ve been surrounded by beaches for most of my life. I enjoyed reading about your post on the best American beaches to relax (mainland and overseas in Hawaii). I’ve not visited many US beaches so this is certainly a great resource to come back to when I’m scheduled to visit. Do you have a favourite from the list? Thanks for visiting Cyndy! Yes, I would say that my favorite is Kauai for sure. I live in Florida, so I love all the beaches here as well. You can’t go wrong with any of them though. You are very welcome Tony! Thank you for visiting beach travel destinations. Hi, Leahrae. You have a beautiful site and various recommendations on beaches that could help me plan for my holidays. 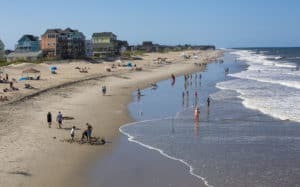 If we are bringing kids for holidays, would you think the best pick of beach to go within this list will be the Cape Hatteras National Seashore in Outer Banks North Carolina? It seems to have more activities for kids here compared to the other beaches such as the beach, lighthouse, aquarium, gardens, Wright Brothers memorial, safari tour, ride on horses etc. Would love to hear your thoughts. Thank you! You know out of all the beach destinations on the list, Cape Hatteras National Seashore is probably the best choice. You are right, there are lots of things for the whole family to enjoy. The Outer Banks is a great family destination. Please let me know if you have any additional questions. I absolutely love going to beaches. I don’t live in the U.S. so I was trying to decide where I want to go. I had decided on either Florida or California. But after reading your post on the best relaxing beach vacations in the U.S., I have decided that I really want to head to the Outer Banks. I also ready the travel guide, and I must say you have covered everything! Thank you! You won’t go wrong with any of these locations. But you will love the Outer Banks. Just a beautiful area, and a great way to see some amazing beaches in the U.S. Please let me know if I can help you with anything. Thanks for stopping by! Thank you for your review of the best relaxing beaches in the U.S. 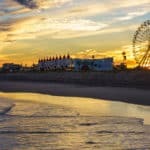 I was wondering how you came up with this list of these beaches as the best beaches in the U.S.?. What was your process for choosing these ones compared to others?. Was it like if they didn’t have a certain amenity did they not make your list thank you again for the article. I don’t know if this post made me more jealous or happy to read. It is very cold and blustery where I live right now and reading this has me dreaming about a trip to Cali or Hawaii. I have been planning a trip to Cali, but living on the east coast, I see there are so many amazing beaches close by! Which beach is your favorite beach? Have you traveled to any/all of these ones in your article. I would love to hear about your specific experience! Thank you so much for warming me up a bit– even if it were in spirit! Hi Ciara, I live on the East coast as well, so of course I have been to all the beaches in Florida. The one I have yet to experience is Nauset Beach. I’m gonna have to say my favorite is Makena Beach in Maui. You can’t beat the extensive beach there, the weather, and just the atmosphere. I absolutely love it! Just doing some research on where the hubby and I would want to go after he gets his Canadian passport and I always boast about how nice the beaches are in the USA. This list looks like a very nice list and we will consider. I have also been to Myrtle beach and I remember it being quite nice. Not sure how the beaches within your list will compare because I’ve never been to any one of them. So are they nicer than Myrtle Beach in your opinion? Would love your input. I would say that all the beaches are as nice as Myrtle Beach in their own way. Each beach is really unique and depends on what you are looking for. Another beach that is probably similar is Clearwater Beach in Florida. You can find all the information for Clearwater Beach here 🙂 Please let me know if I can answer any other questions.